Ani-X™ offers attraction that doesn’t break all those feeding and baiting laws! Technically speaking, it contains no plant protein products or feed ingredients. 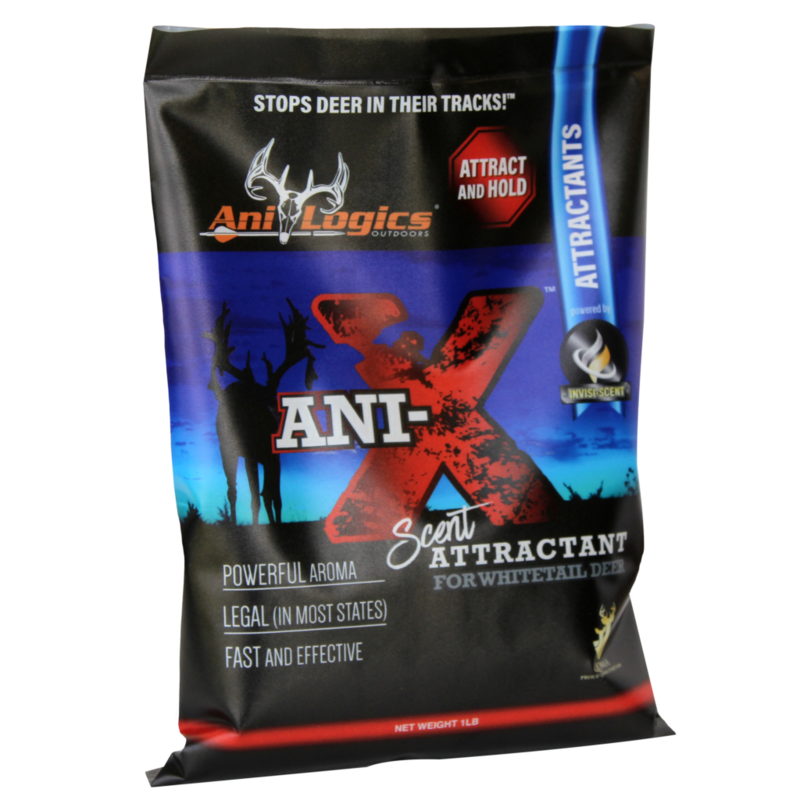 Ani-X™ smells like Ani-Logics’ signature Deer Feed, but, it’s NOT FOOD! It’s PURE SCENT! Making it LEGAL to use in almost every state! Use Ani-X™ during the hunting season, in food plots, in front of your tree stand, in front of your deer blind, or anywhere you want to attract deer! Easy-to-open, 1-pound bags, have handy tear notches; just rip open a bag and shake out the discreet scent dust and let the attraction begin! For even better attraction, take advantage of a phenomenon called SCENT IMPRINTING aka, “scent memory”. For improved results, feed Ani-Logics in the off season to train deer to associate this unique scent, with feed. By fall, the scent alone will trigger the whitetail’s scent memory, causing him to think he’s following the secret scent trail to food, but all he finds is you!! CLICK HERE to download PDF of Press Release! CLICK HERE to order your Ani-X™!